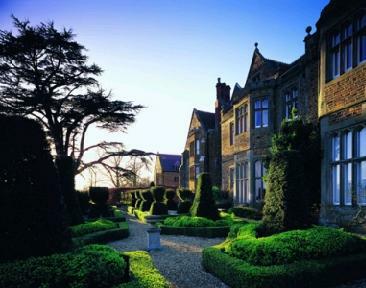 Escape to the country for the weekend and enjoy a 2-night stay for only £399 for two people sharing a Club double or twin room. Rate includes Full English Breakfast, 3-course a la carte brasserie dinner on one night, a bottle of house champagne in your room on arrival, and complimentary use of the spa facilities. (All subject to availability, and supplement payable for room upgrades). Relax, chillout and be pampered in the stunning Grayshott Studio Spa – Treatment reservations are essential – please contact the spa direct on 01327 892020 to make a booking. Enjoy exquisite food & fine wine in either the Brasserie or for a supplement experience the fine dining restaurant, Equilibrium, and savour the ambiance of the Tudor Great Hall. Guest also receive a VIP 10% discount at nearby Bicester Village for a “shop until you drop” day out before heading back for a relaxing evening at Fawsley Hall.